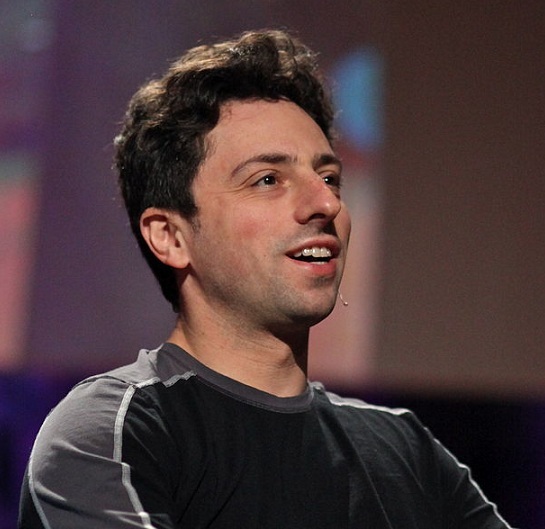 On August 21st, 1973 Sergey Brin was born. He along with Larry Page is the co-founder of Google – the world’s largest search engine. Currently, in 2013, he has an estimated net worth of $22.8 billion. The birth of Brin was in Moscow, in 1973. At the age of six Brin came to America from Russia with his parents. Concern for their son and his future in Russia forced the Brin family to move to America. His father wasn’t able to get the career he wanted there, because he was Jewish, who were not officially repressed by the communist party. Both of them had problems getting jobs and chasing their desired career in a university. Brin’s fathers once shared, that he was forced to abandon his science career from a very young age. They had no bright future there and this is why they headed for America. Google could have been a Russian company if the had stayed;). In Adelphi, Maryland, Brin went to grade school. His father, who was a mathematician, taught him mathematics at home in addition to his regular schooling. He also learned to maintain his skills in Russian, too. In 1990 Brin enrolled in the University of Maryland where he studied mathematics and computer science. In 1993 he received a Bachelor of Science with honors. After this, he went to Stanford University to get a Ph.D. in computer science and it was there that he met Larry Page his future Google partner. The two of them bought inexpensive computers and filled their dorm with these systems. The two of them became close friends and worked on a paper together called “The Anatomy of a Large-Scale Hypertextual Web Search Engine”. They used a data mining system developed by Brin to build a search engine. They tried their new search engine on the web and the system created problems for Stanford’s computing infrastructure. But they knew they were onto something and that they had created a superior search engine for the web. They eventually suspended their Ph.D. studies and rushed to start up their search engine in a rented garage. After they received a check for $100, 000 from Sun Microsystems co-founder Andy Bechtolsheim, they had their new company called Google Inc. The word Google comes from the mathematical term “Googol,” which is a 1 followed by 100 zeros. This is a reflection of the mission of both of them to organize the immense amount of information available on the Web. In 1998 after raising $1million dollars they launched the Google Company. Since then Google received over 200 million queries per day and is the world’s most popular search engine online. In August 2004 they launched their IPO and became billionaires. In 2006, they bought YouTube which is a popular video sharing site and further expanded their company. In May 2007, Brin married Anne Wojcik. Together with his wife who has a B.S. in biology, they are brainstorming with leading researches into the human genome project. The two of them have two children together. Today Brin and the rest of the Google team are industry leaders with their popular Android operating system for smartphones as well as their Google earth program among countless others. In 2014 they are about to change the way people access information online with their innovative Google Glass visor.